A few weeks ago before jetting off to South Africa I was lucky enough to be able to make not one, but two trips down to the beautiful Cotswolds. This was in-fact the first time I had ever been, although itching to go for quite sometime! Usually Alex accompanies me on my blog travel trips as we both share a passion for exploring and enjoy visiting as many corners of the world as we can, together. 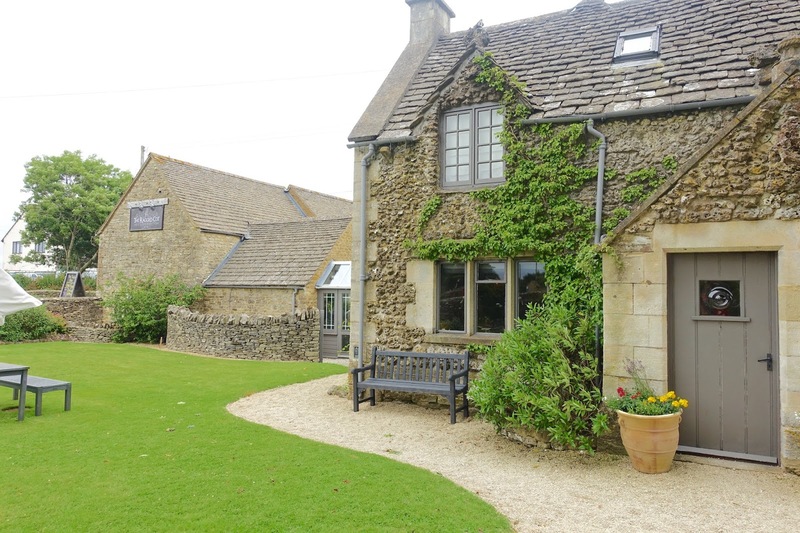 On this second Cotswolds trip, for a change, I decided to treat my mum to a quick mini-break in the Cotswolds, who also has never stayed in the area. 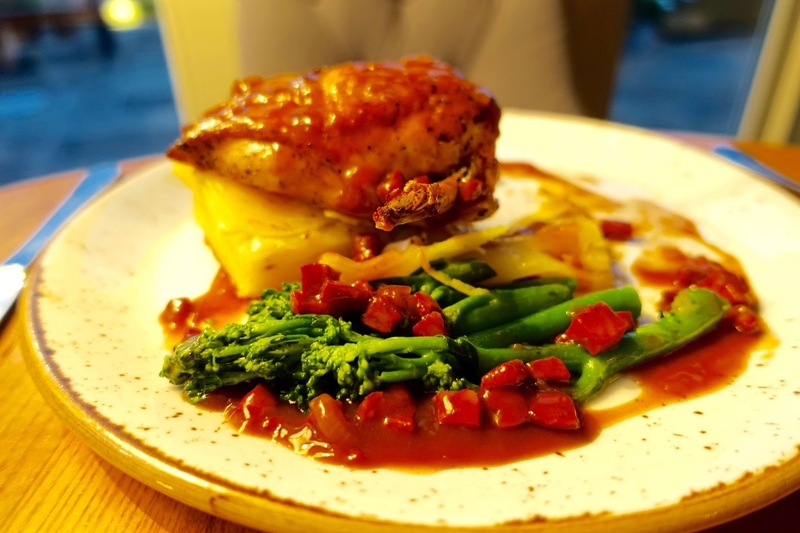 My mum, very similar to me, is a lover of all the little luxuries in life; cosy hotel rooms, roaring log fires, late check-outs, home-cooked grub and even better, good company (don't mind if I do say so myself!). I knew she would be the ideal companion for my second trip! With no annual leave to spare, we headed down one Friday evening after work, luckily I managed to clock off about 4pm so we could allow ourselves enough time to drive and arrive in time for our 8.30pm dinner. The trip took us about 3.5 hours in total, including a stop, meaning we arrived at 7.30pm with plenty of time to spare and to share a quick bottle of prosecco in our room! 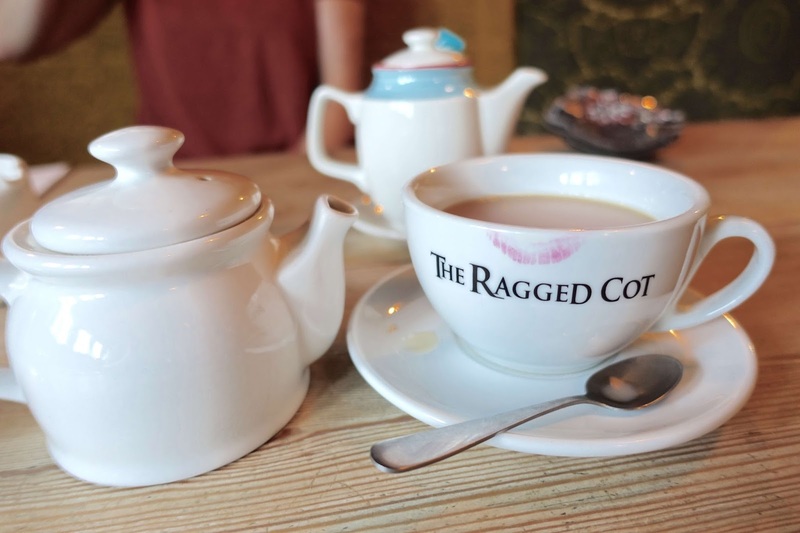 For this particular trip we were making our way over to Minchinhampton, near Stroud (located in South Cotswolds) to enjoy an overnight stay at The Ragged Cot Inn. 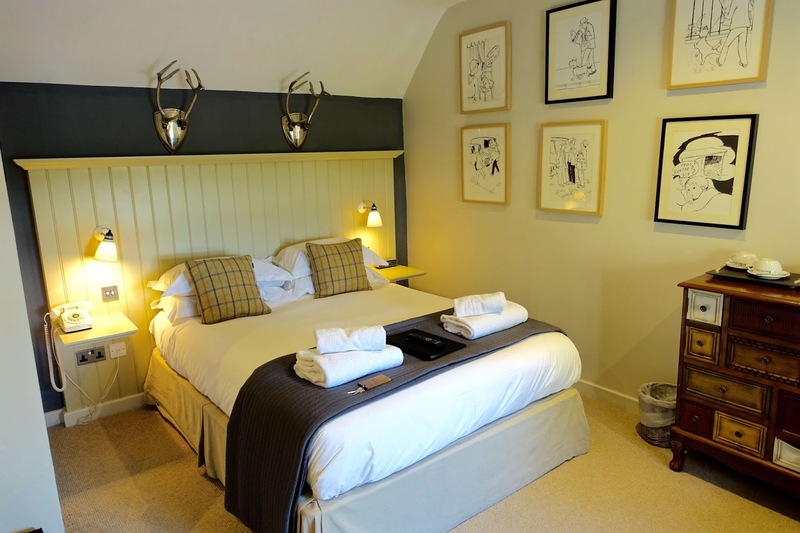 The Ragged Cot Inn is set in a former 17th century coaching house and oozes character and charm from the outside, in. Built with a majestic grey stone, you definitely feel you've stumbled upon a little gem in the Cotswolds. The surrounding gardens are ample with space, plenty of seating areas and are immaculately tidy and ooze a luscious green throughout! 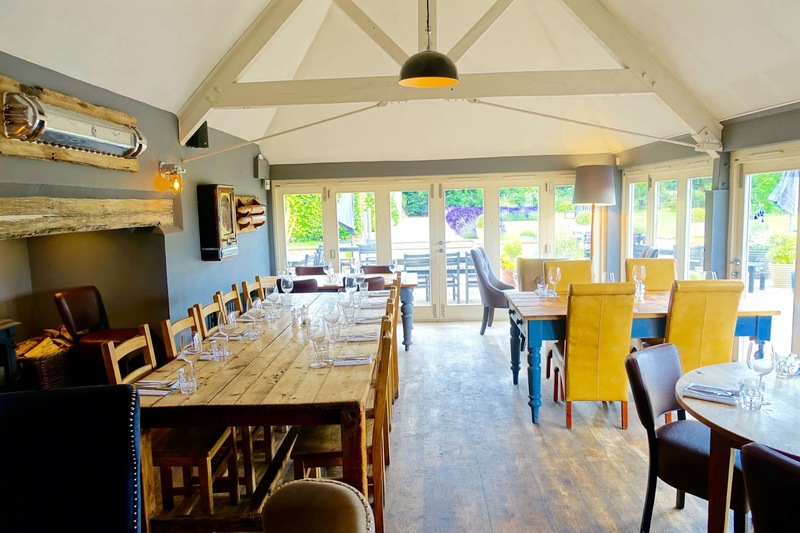 The Ragged Cot successfully combines the look and feel of a pub, restaurant and hotel. 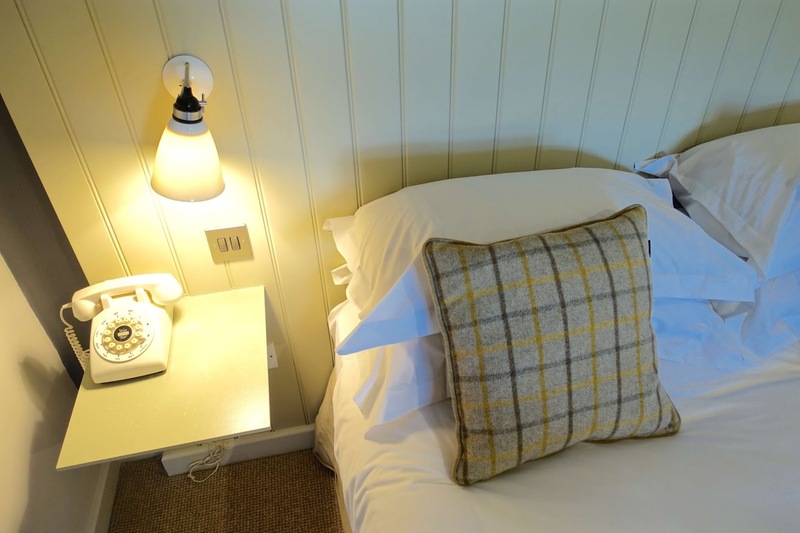 With 9 spacious rooms on offer to rest a weary head - the rooms are of a decent size for two sharing, with a wonderfully shabby chic style, modern facilities and all the little home comforts you need (hairdryer, tea and coffee making facilities, bathrobes) for a enjoyable stay. 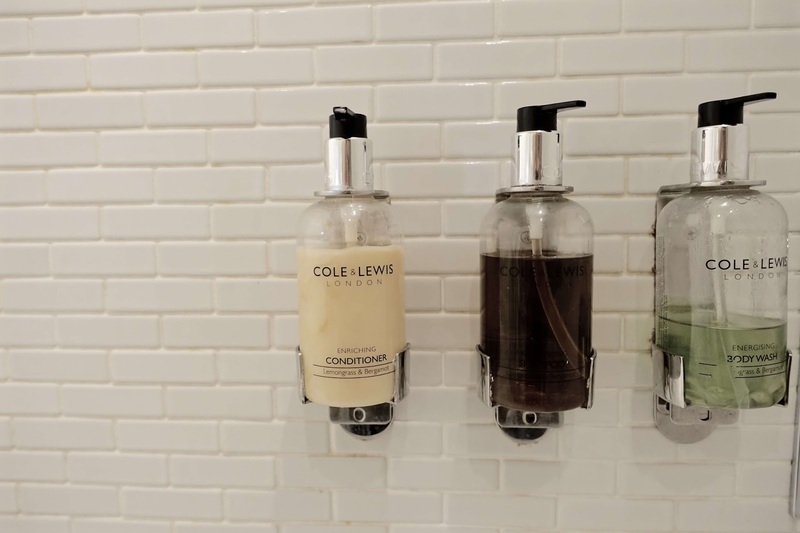 All bedrooms boast ensuite bathrooms complete with complimentary Cole & Lewis London toiletries - with the bedroom we stayed in, also fitted with a bath. 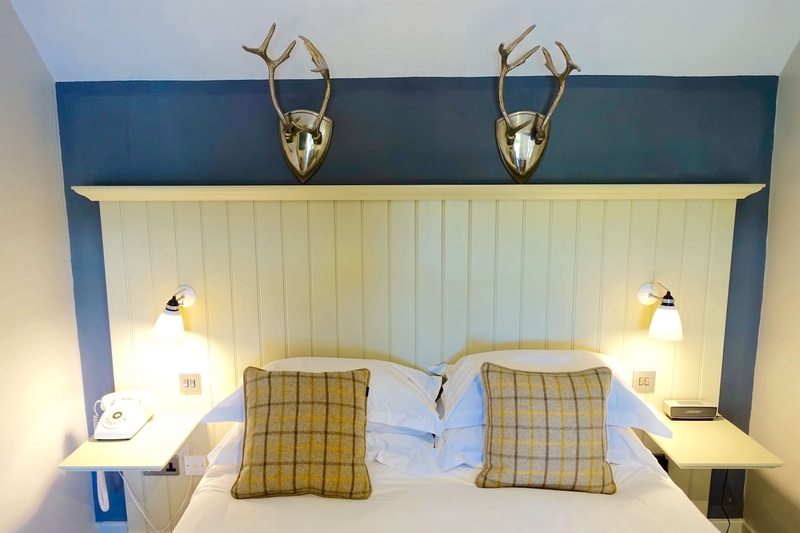 Each room has quirky, shabby chic features; my favourite being the two silver stag heads perched above our bed-heads. Double rooms are as standard (twins available on request) and start from as little as £80 per night with a full english breakfast inclusive. After settling down our things into our bedroom for the evening, me and mum shared and clinked a glass of prosecco, or three, then made our short walk downstairs to the bar and restaurant. 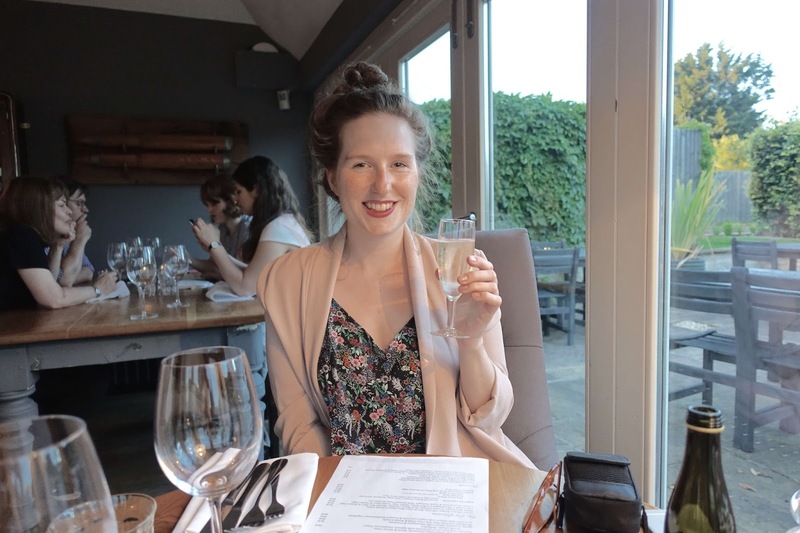 We were seated on a cosy, candle-lit table in the far corner of the restaurant, with floor to ceiling windows either side spanning the length of the immaculately green gardens. 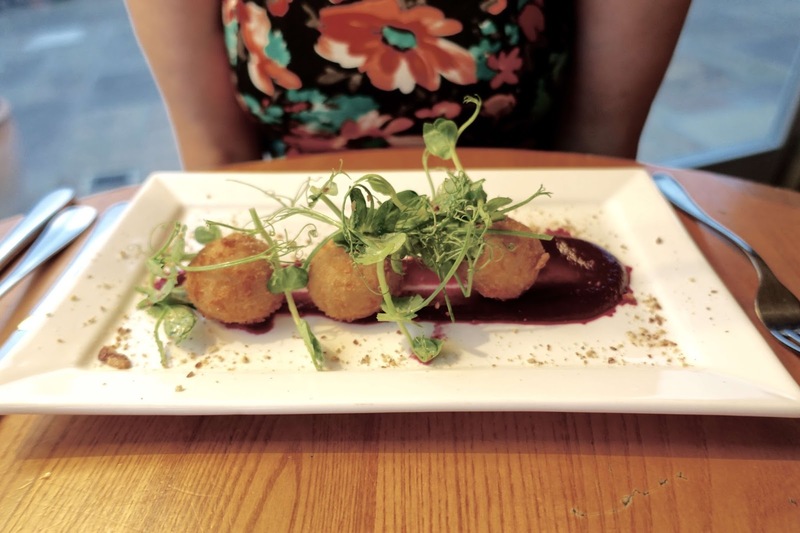 For starters, Mum had the arancini starter on offer, I was jealous - this would have been my first choice too, although I had to avoid due to the walnut filling. 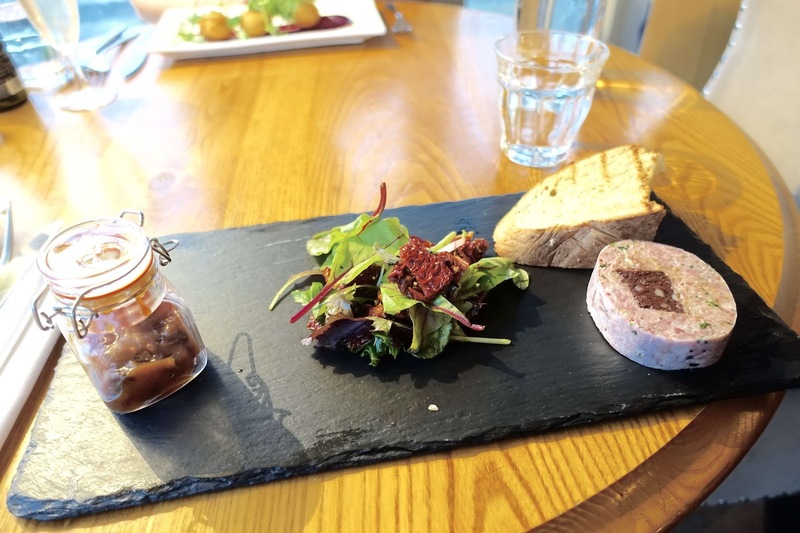 Instead I went for the ham hock and black pudding terrine with chutney, dressed leaves and a toasted loaf - it was delicious. My only suggestion would be for one or two more slices of toast to match the rather large portion of terrine. 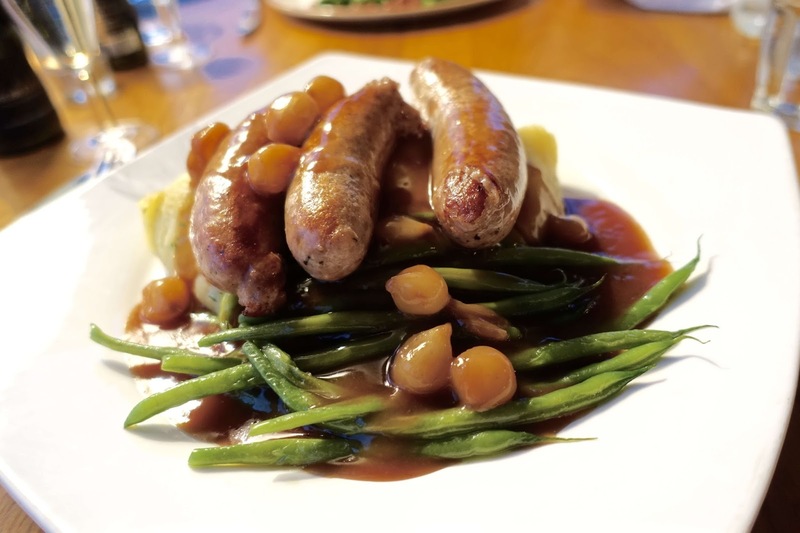 For mains, I fancied a typical classic, home-cooked pub meal - locally sourced pork and apple sausages, with a herb mashed potato, crispy shallots an onion jus and green beans. It really hit the spot and warmed my belly. What's even better is that your sleeping hideaway is only a short walk down the hall from the dinner table - oh, it's the little things in life! Breakfast the next morning, we were greeted and seated, then welcomed to help ourselves to continental items such as toast, pastries, preserves and cereal while we picked from the hot-food menu. In my eyes, Saturday mornings away from home always call for a full english breakfast - you won't see me sitting in the corner with the fruit bowl. I decided to exclude a few unnecessary items I knew I would only graze at (mushrooms, tomatoes - basically the healthy stuff!) 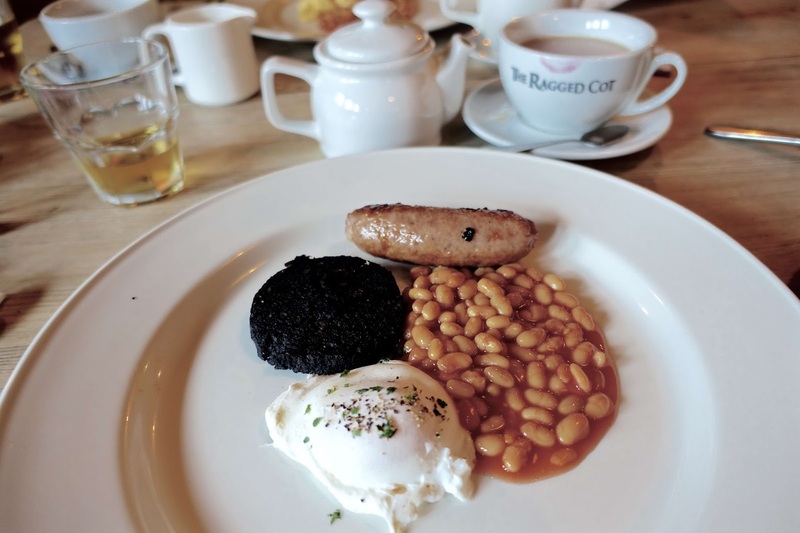 and opted for a plate of scrumptious sausages, poached egg, beans and a perfectly round portion of black pudding. Fresh ingredients, all locally sourced meant all the food was delicious. This pub with rooms in located in such beautiful surroundings, with so much or so little to do right on your door-step, I believe its the perfect rest-stop to take a time out, head to the countryside and explore the delightful charm and character the Cotswolds countryside and surrounding villages has to offer. 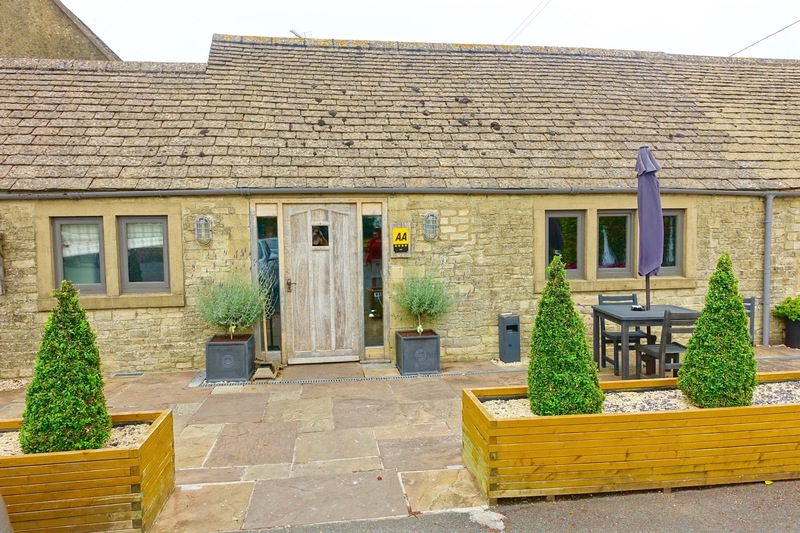 To be a little closer to the action, a few weeks before I also stayed in the small, unspoilt Cotswolds town of Winchcombe, at another shabby-chic style pub with rooms; The Lion Inn - see my review.